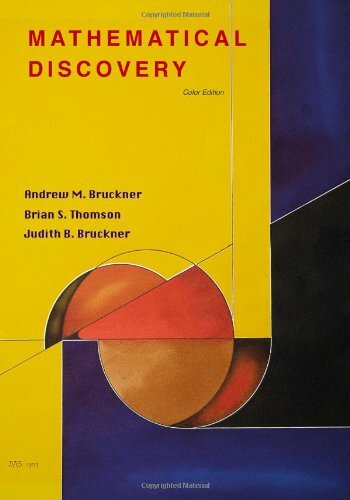 This text is intended for a course introducing the idea of mathematical discovery, especially to students who may not be particularly enthused about mathematics as yet. We designed a course in which the students could actually participate in the discovery of mathematics. Basic algebra, matrices, trigonometry, indices and logarithms, polynomial equations, inequalities and absolute values, progressions, counting techniques, complex numbers, functions and lines, introduction to differentiation and integration. Anyone open to the idea of looking through a popular book on mathematics should be able to get on with this one. It contains pieces of technical mathematics; these can all be skipped without prejudice to the rest, and a coherent story will remain.